Do you have a new or existing technology issue or problem you want to report or get an update on? ITAcceleration uses a secure and remote support portal called Bomgar to help us communicate with you and resolve issues quickly. The first step is to access the Bomgar support portal. 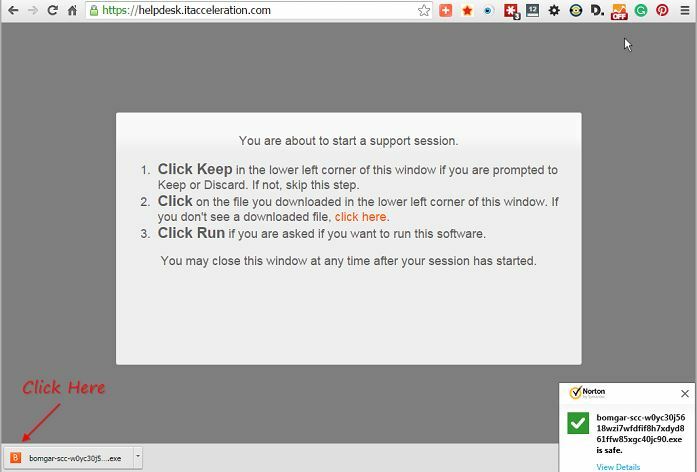 Click on the image above or go to https://helpdesk.itacceleration.com/. If you have already been in discussion with us and have received a Session Key from a Support Team member, please enter the x digit Session Key in the top box shown above. Click submit. 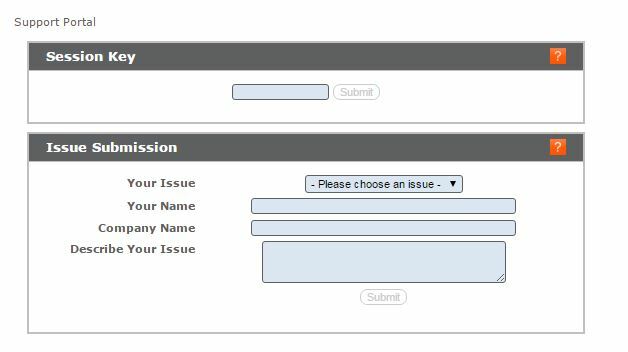 If you have not yet spoken with us and it is a new issue, go to the second box shown above and click on the drop-down menu next to “Your Issue”. Make a selection. Enter your name, company name and a brief description of your issue below that. Click submit. None of the fields are mandatory. Bomgar will briefly display a confirmation message and download instructions as shown above. 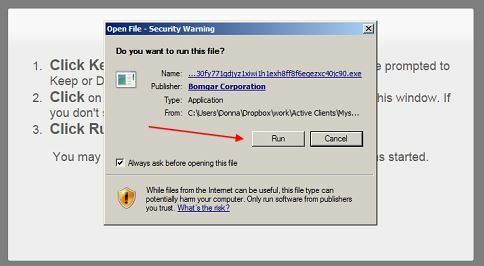 Immediately following, you’ll be shown a popup that allows you to download the Bomgar software. Click “Save” on the bottom right. 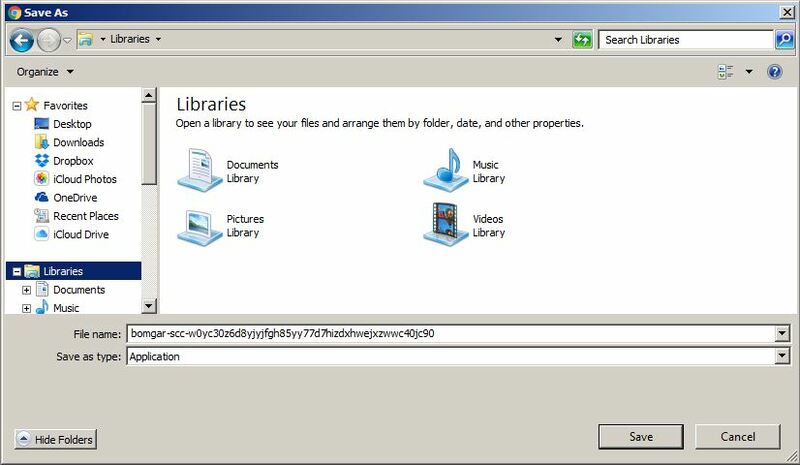 Click on the file you just downloaded, as shown above, bottom left. You’ll be asked if you want to run the file. Click “Run”. There will be a brief pause while the software initiates. 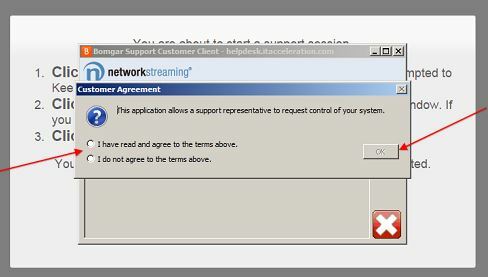 The last step is to grant permission to access your device to a Support Team member. Click the radio button on the left that says “I have read and agree to the terms above.” and the “OK” button to the right of it. Your Support Team member should now be able to access your machine. If you have any questions during any of this, please don’t hesitate to contact or call us at 484-322-2300. Feedback on the use of this page is also appreciated.